commented on "Anterior Tarsal Tunnel Syndrome - a cause for unusual foot symptoms ..."
Anterior Tarsal Tunnel Syndrome-a cause for unusual foot symptoms. Anterior Tarsal Tunnel syndrome (ATTS) was first described in terms of anatomy in 1963 by Kopell & Thompson and named as such by Marinacci (Marinacci,AA.Neurosurgical syndromes of the tarsal tunnels.Bull Los Angeles Neurol Soc 1968;33:90-100. ).In ATTS the deep peroneal nerve (or anterior tibial nerve as described by some anatomists), is compressed under the inferior extensor retinaculum on the dorsum of the foot and ankle ,in contrast to the tarsal tunnel syndrome (see other article),in which the posterior tibial nerve is compressed posterior and inferior to the medial malleolus. The anterior tarsal tunnel is a flattened space with boundaries: inferior extensor retinaculum and fascia overlying the talus and navicular bones on the dorsum of the foot.The deep peroneal nerve and its branches pass through this fibro-osseous tunnel, deep to the tendons of EHL and EDL and has a mean length of 15.7 mm laterally and 55.3 mm medially (Zongzhao L t al ,Dept Anatomy Bengbu Medical College, China.1991).The nerve may bifurcate proximal to, at or distal to the talar prominence- a common site of compression as the nerve(or its medial and lateral branches depending on site of bifurcation:pre, at or post-talar prominence) are in a vulnerable and relatively unprotected position here.Tight shoes,pes cavus etc etc may further damage the nerve here- and cause the symptoms of ATTS.see below. ATTS is usually due to trauma such as wearing overly tight shoes, severe acute plantar flexion of foot or activities requiring squatting and bending forwards.It is less common than TTS.It is a rare condition and the reader may have rarely considered it. The deep peroneal nerve is the main branch of the common peroneal nerve. The common peroneal nerve passes the peroneal tunnel at the fibular neck.The common peroneal nerve after crossing the fibular neck divides into superficial, deep and recurrent peroneal nerves.The deep peroneal (or anterior tibial ) nerve passes into the anterior compartment of the leg and supplies tibialis anterior, EDL,EHL and peroneus tertius. At the ankle it passes under the extensor retinaculum and ends as 2 branches: a lateral branch to EDB and a medial cutaneous branch supplying skin between the 1st and 2nd toes(Akyiiz G et al2000).This bifurcation may occur proximal, at, or distal to the talar prominence and warrants careful surgical exposure and knowledge of aneuroanatomy.The nerve(or its medial and lateral branches) and dorsalis pedis artery will be lateral to the EHL tendon and medial to the tendons of peroneus tertius and EDL at the talar prominence-this is crucial Neurosurgical operative anatomy. Patients with ATTS present with pain, numbness, paraesthesiae of dorsum of foot that radiates into the 1st dorsal web space.These symptoms may radiate to the site of entrapment at the ankle and may be worse at night- as is the case with carpal tunnel syndrome ( CTS or thenar median neuropathy at the wrist).There may be motor involvement if the lateral division is involved. Patients with CTS may shake their hands whereas patients with ATTS awaken with paraesthesiae and hold their foot in the everted and dosiflexed position to reduce the pain and paraesthesiae(Petraglia,JF 2008). Clinical findings may include altered sensation in the 1st dorsal web space, pain on palpating the deep peroneal nerve at the site of compression , pain in dorsum of foot, a vague burning sensation in the deep peroneal nerve distribution and weakness of extension of digits and hallux.Wasting of EHB and EDB may occur. Repetitive trauma , such as with soccer players, bars used for sit ups and storing keys during a run under the tongue of a running shoe have been described! (SChon LC et al.Clin Sports Med 1990). Symptoms are worse at night (as in CTS)-possibly due to stretching of the deep peroneal nerve in plantar flexion(AdelmanKA 1988 and Hirose CB 2004). a positive Tinel's sign lateral to the tendon of EHL and medial to the dorsalis pedis pulse over the deep peroneal nerve on the dorsum of the foot may be present.Active plantar flexion with inversion may reproduce the symptoms. Treatment may include cessation of sporting activities& ballet dancing, wearing looser shoes, avoid high heel shoes(which plantar flex the ankle and extend the toes-maximal stretch to deep peroneal nerve under extensor retinaculum), avoid prolonged squatting(eg flower planting-squat & lean forwards).Other treatments incude a course of anti-inflammatories, heat and ultrasound therapy, ankle splinting,LA&CS injections.Orthotics may be prescribed along with looser shoes Recall old ankle/foot injuries which could cause ostephytes. Recognise pes cavus..High logitudinal arches with protrusion of the talonavicular and cuneonavicular joints may stretch the inferior extensor retinaculum and compress the deep peroneal nerve, especially in plantar flexion..common at night..Consideration of diabetes, alcohol, drugs ,oedema etc and other aggravators of entrapment neuropathy is wise. As always surgery after MRI and Neurological opinion including detailed electrical studies is a last resort via an incision under midthigh torniquet control from the proximal ankle to the base of the 1st& 2nd tarsal-metatarsal joints along the lateral border of the tendon of EHL below the ankle.Care is taken to identify and retract the lateral subcutaneous branch of the superficial peroneal nerve.The deep peroneal nerve will be lateral to the EHL tendon.The incision is deepened between EDL & EHL tendonsand the nerve is seen over the talonavicular joint. The nerve may be compressed here by the head of the talus in the tunnel .The inferior extensor retinaculum in divided to expose the deep peroneal nerve and dorsalis pedis artery.Zongzhao found that the main trunk is 2 to 3.5 mm wide and 1 mm thick in the ATT.and th emedial branch was slightly smaller than the lateral branch, which measured about 2 x 0.7 mm.Osteophytectomy or gangionectomy may be required depending on findings( and pre-operative MRI).It is mean of 6.3 mm from the retinaculum to the most prominent part of the talus. (ZongzhaoL et al.Jnl Bone& Joint Surg.1991)..The sensory branches of Lemont(DiDomenico LA et al.2006) are preserved and the limbs of the inferior extensor retinaculum are divided.The deep peroneal nerve and anterior tibial artery are seen and the nerve and its 2 terminal branches are neurolysed.Scar, osteophyte, ganglia etc are excised as is the case with other peripheral nerve entrapment neuropathic syndromes. So , the reader may say I have never heard of all this! It is a rare syndrome and not well taught I believe. Consider there are many causes for foot symptoms other than L5 &S1 radiculopathy, vascular occlusion,gout,stress fracture peripheral neuropathy, common peroneal neuropathy at fibular peroneal tunnel, tarsal tunnel syndrome and "arthritic /dysfunctional" foot! Consider ATTS in patients with nocturnal paraesthesiae and aching pain in the dorsum of foot extending to the 1/2 web space with aching and weakness of extension of the hallux and digits ,increased by plantar flexion and inversion of the foot , maybe with EDB and EHL wasting in patients wearing high heels / tight laced/strappy shoes and a hobby such as gardening-prolonged squatting and leaning forwards!Altered sensation in the skin of 1st webspace and on 1st and 2nd toes and Tinel's sign( pain and paraesthesiae radiating to 1st intermetatarsal space and actual 1st and 2nd toes) on lateral side of EHL tendon and medial to /at dorsalis pedis pulse may be observed.Loss of ability to hypextend the hallux and digits, altered sensation 1st web space and 1st and 2nd toes and wasting EDB and EHL are characteristic. Tinel's positive at the EHB is a characteristic sign of ATTS(DiDomenico LA.2006) Plantar flexion with inversion aggravates and dorsiflexion with eversion relieves the sensory symptoms and aching pain-a patient may offer this nocturnal observation!.MRI, Neurology opinion, electrophysiology and thorough history and examination are required to pick up on this rare condition.An excellent knowledge of the described foot neuroanatomy is required. ABOUT THE AUTHOR: Dr Michael Coroneos is a senior Brisbnae Neurosurgeon who graduated MB BS (1st Class Honours) from the University of Queensland.in 1980. He holds dual qualifications in Neurosurgery FRACS (1988) and Surgical Neurology FRCS(EDIN)SN in 1989. He is RACS Examiner. 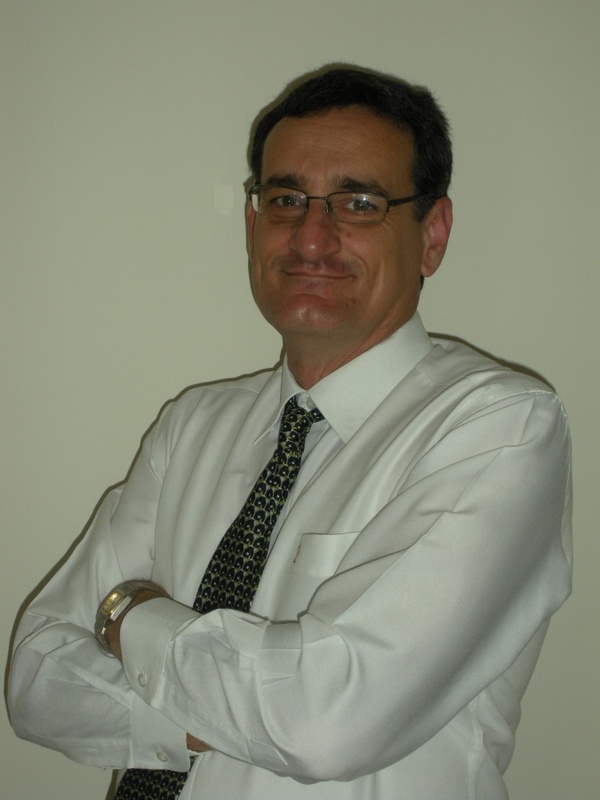 He is a Full Member of NSA and NSQ.He is a fully Accredited PI Assessor and is a WorkCover PI Panel Member and WorkCover PI Panel Member.DA/ Professor Michael Coroneos is a 1st and 2nd Line Mortality Assessor for the RACS. All advice is of a general and academic nature. Patients must seek treatment from their own medical practitioner as their individual circumstances must be carefully assessed.